ART-oberfest Vendors Announced -- MORE VENDORS ADDED TO LINE UP! 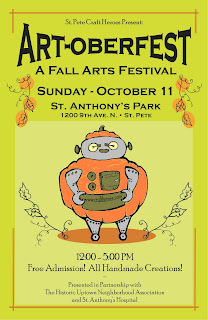 AND NOW EVEN MORE GREAT VENDORS HAVE BEEN ADDED TO THE LIST! If you can't make it out for ART-oberfest, why not shop online? Many of our vendors have virtual shops ready and waiting for you to visit! 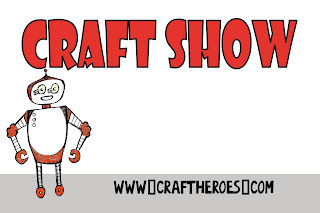 If you see this sign you'll know Craft Heroes are in the place! and you can feel good knowing your vendor registration fees will help the Historic Uptown Neighborhood Association's crime watch program! Saving the 'burg from dull boring crafts AND taking a bite out of crime--that's the craft hero way! Sign up and be a part of the fun today! 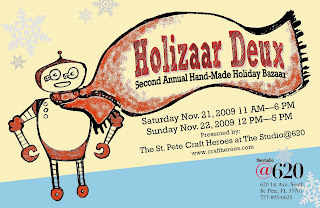 Here is the list of fantastic folks who will be on hand for the Holizaar Deux show in November! Stay tuned for more information in the coming weeks!